America’s justice system is broken. Offenders repeat and return to jail. Chuck Colson shows why the prevailing systems of criminal justice simply don’t work. The book showcases Colson at his best, including personal stories, historical study, and shocking statistics. Bottom line: only a system that is based on a biblical worldview, a system that restores both the offender and the offended, will have any lasting success. 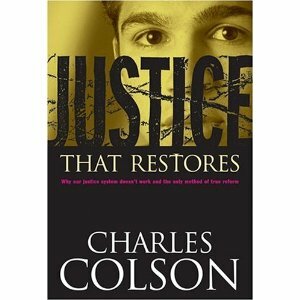 This authoritative work is Colson’s legacy statement about criminal justice. These proven principles can reverse the current criminal decline.